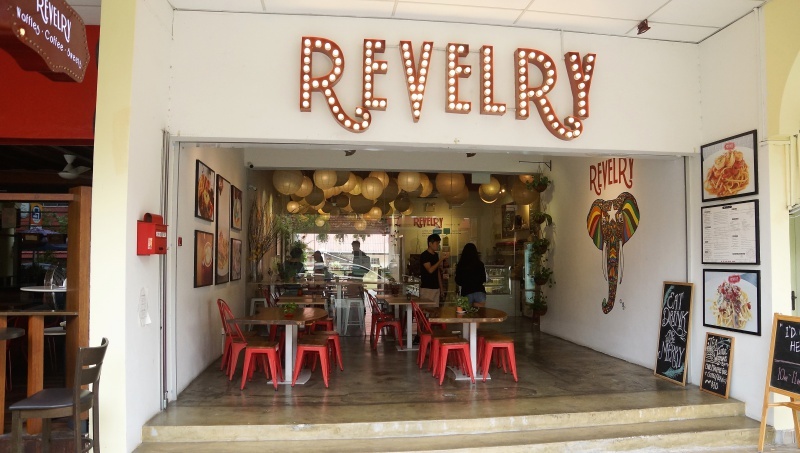 We reached Revelry Cafe shortly after it opened for business, thinking we were the early birds but surprisingly, a few tables were already occupied with customers. 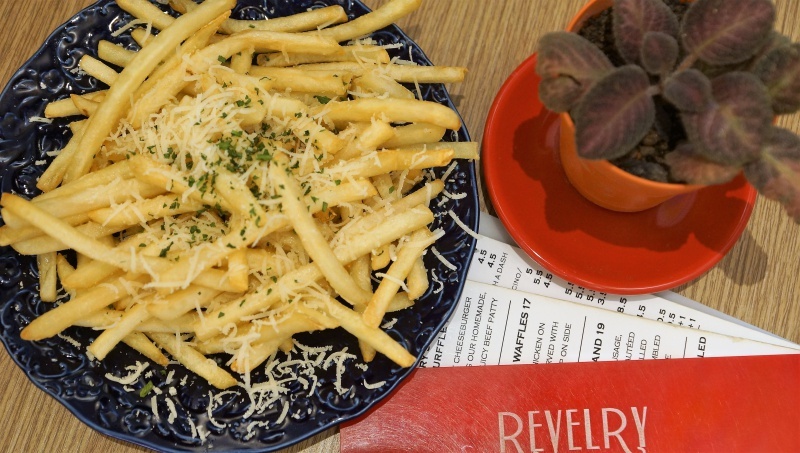 Revelry Cafe seems to have its charms bringing in the crowd. 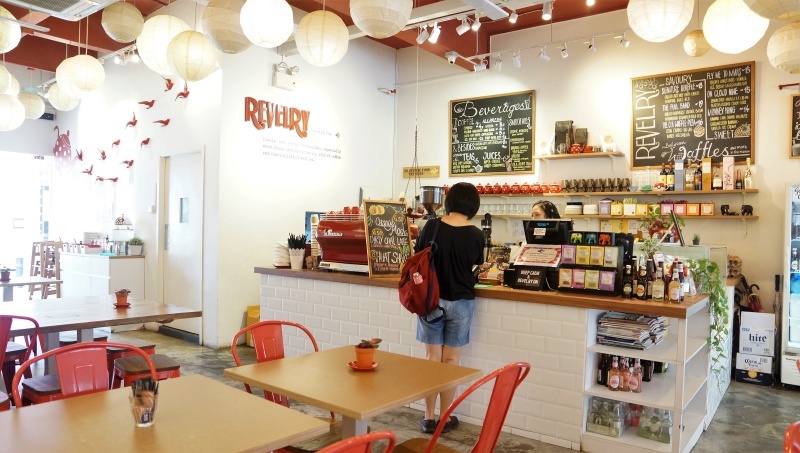 The cafe has both air-conditioned and outdoor sheltered dining areas; indoor is decorated with lots of Japanese chochin paper lanterns hanging from the ceiling and the walls are painted with quirky art. 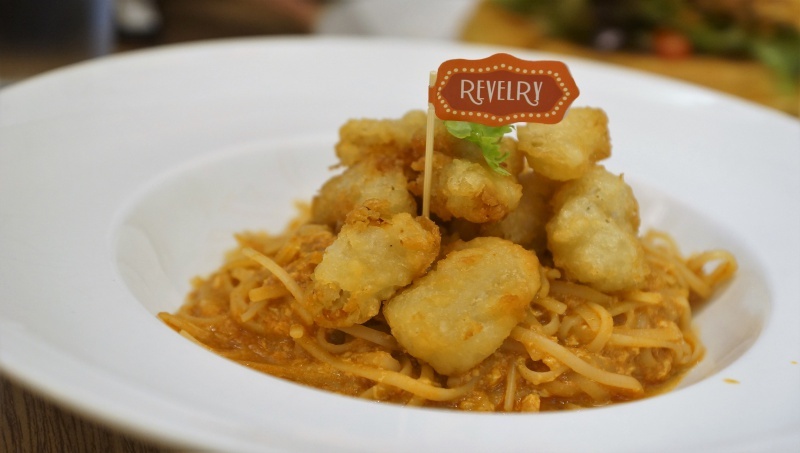 The Revelry Cafe specialises in sweet and savoury waffles while also serving up fusion pastas. The popular ones here include the Laksa Prawn Pasta and the Tom Yum Pasta. 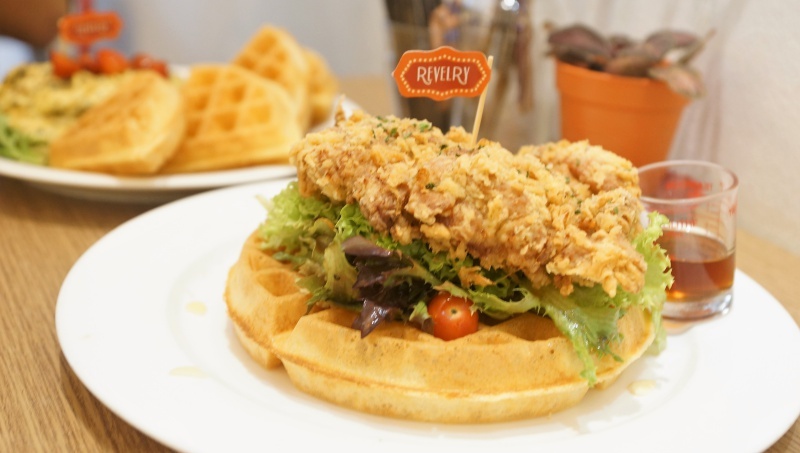 You are doing injustice to Revelry Cafe if you leave without ordering their signature Chicken & Waffles ($17). The serving size is amazingly generous; one serving is good enough for two with small stomach capacities. The waffles came with a big deep-fried chicken served on a waffle, topped with greens and you can drizzle the maple syrup to add some zest to the dish. The Truffle Scrambled Eggs ($17) sees truffle-flavoured scrambled eggs with sauteed tomatoes and fresh avocado with waffles. 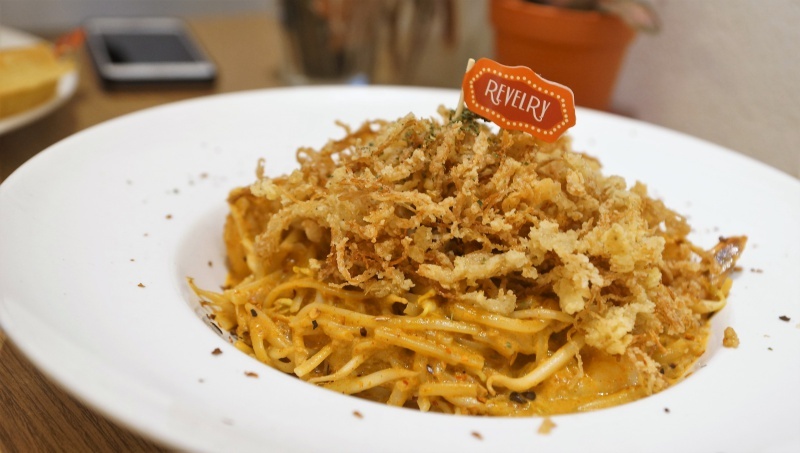 Waffles may be in the limelight at Revelry Cafe but we find the Laska and Tom Yum pasta (eaten in the earlier trip and not featured here) are the true highlights here. 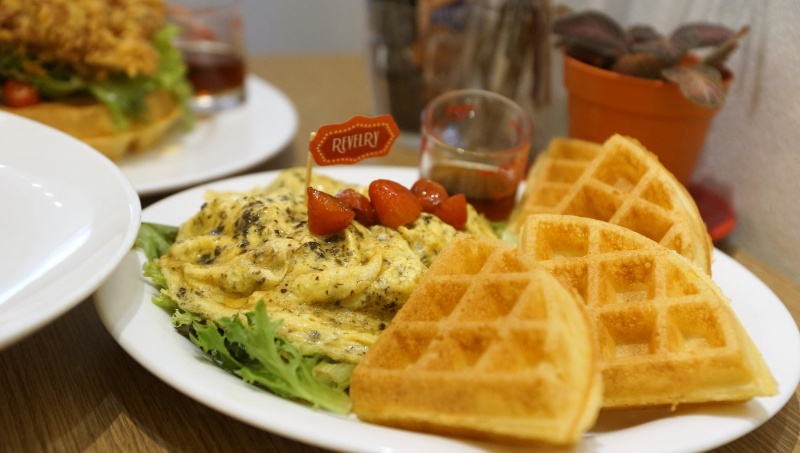 Honestly speaking, the waffles are nothing to shout about but the generous serving size, no service charge, as well as GST, could well be a nice carrot to lure the diners for a revisit.